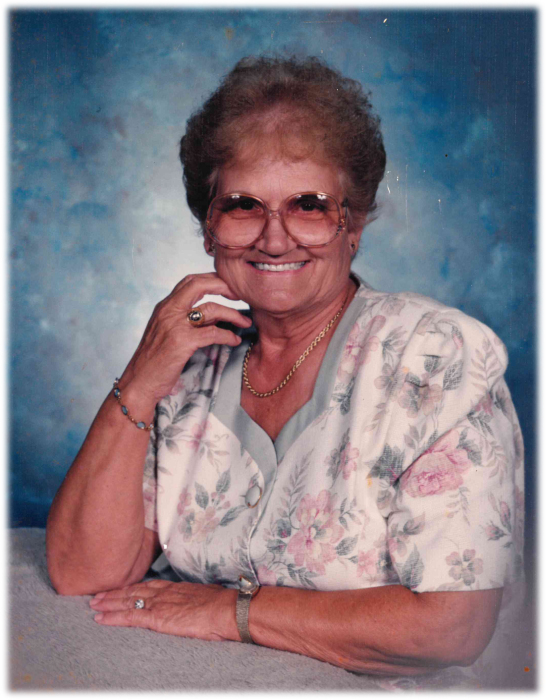 Nellie Keene Tedder Harrington, age 92 of Warrensville, died Tuesday night, October 16, 2018 at Margate Health and Rehab. Nell was born Tuesday, December 5, 1925 in Grundy, Virginia to the late Melvin and Liza Hylton Keene. In addition to her parents she was also preceded in death by her first husband, Charles Ray Tedder, second husband, Henry Harrington, her son, Richard "Dickie" Tedder and twelve brothers and sisters. She was a member of Bethel Baptist Church, she had a beautiful voice and loved to sing at various churches throughout the county. She worked for Sprague Electric and retired after twenty-nine years. Nell never met a stranger and was always a happy person, you would never see her without a smile on her face. She enjoyed her time at Ashe Assisted Living, where she was always helping the other residents there. Most importantly she loved her family very much. Survivors include her son, Danny Tedder and wife Linda of Warrensville, sister, Violet Yates of Kingsport, daughter-in-law, Diane Tedder of Lansing, grandchildren, Tina Tedder, Tammy Ball, Kevin Tedder and wife Lori and Sonya Tedder, seven great-grandchildren, seven great-great-grandchildren and several nieces and nephews. Funeral Services will be held Saturday, October 20, 2018 at 2:00 pm at Badger Funeral Home Chapel by Rev. Joey McClure and Rev. Jim Greer. Burial will follow in the Perry Cemetery in Lansing. The family will receive friends from 1:00-2:00 pm prior to the service and also on Friday, October 19, 2018 at the home of her grandson, Kevin at 404 Sunnyside Park Rd. in Jefferson. Flowers will be appreciated or memorials may be made to Ashe Assisted Living at 180 Chattyrob Lane, West Jefferson, NC 28694. Badger Funeral Home was entrusted with Mrs. Nell's arrangements.